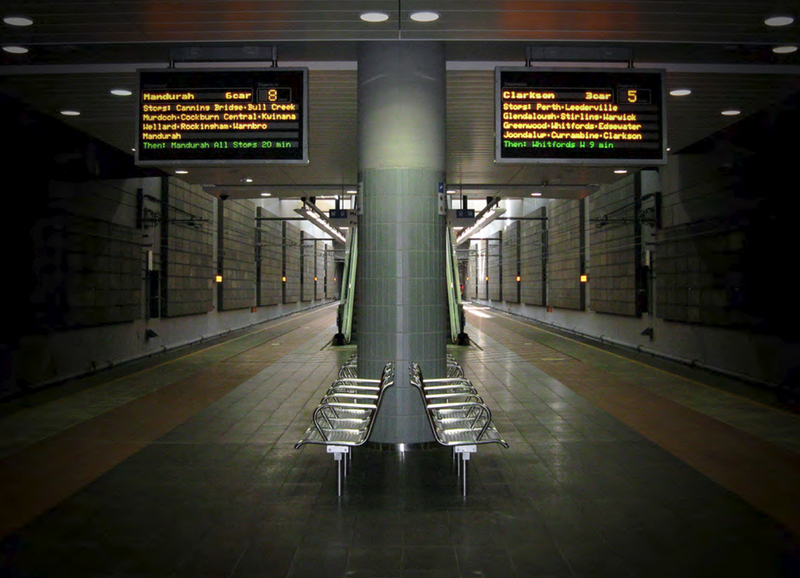 Increased attention is being paid to acoustics in train stations. The materials necessary for function are generally hard, reflective surfaces with little absorption to prevent ambient noise build up. When you introduce the noise from trains, general activity and a PA/VA system, this can lead to an acoustically hostile environment. More importantly than this, In the event of an emergency it is vital that speech intelligibility is sufficient to allow members of the public to hear important safety messages clearly. Quietstone wall panels are suitable for use in this environment as they are far more durable than other stand alone options, have high fire safety rating and are also non toxic or fibrous. 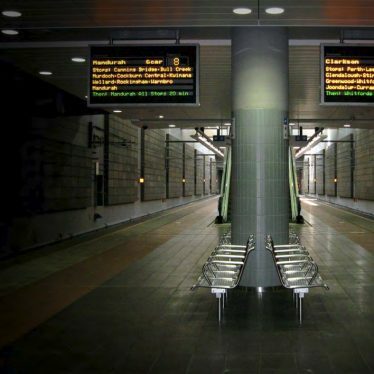 In Esplanade station, the panels were mounted on an aluminium frame which provides an air gap to the rear of the panels. This greatly increases the sound absorption, particularly in the low frequencies, but also provides protection for any services behind. The panels were installed on a simple aluminium framework, the type typically used for facade mounting. This framework was fast to install and the panels were attached using Tek, self-drilling screws. This leads to rapid installation as there are no need to pre-drill holes and once the panels are up, mechanical fixings are ‘plugged’ with the same material to hide the holes. Smaller panels were also installed to hide to fixings to the side.